Envelope yourself with this contemporary design aqua green kurti. The floral design cord embroidery on bemeberg georgette fabric makes the attire look more elegant. 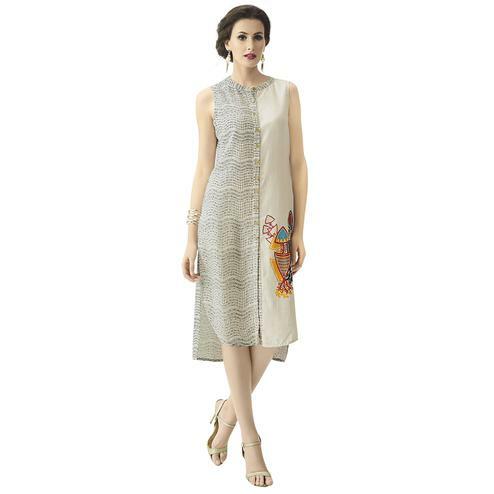 You can team this kurti with contrast colored legging & jeans.